Covering an area of more than 20,000 square meters, Shanghai Urban Planning Exhibition Center is fitted with an exhibition area of more than 7,000 square meters. The high-tech means are employed to fully demonstrate the urban planning and construction achievements of Shanghai, with the theme of “city, people, environment and development”. The center is acclaimed by the public as “the window of Shanghai”. Located at No. 100, Renmin Avenue, Huangpu District, Shanghai Urban Planning Exhibition Center offers the first high-tech virtual film to visitors to know about the development of Shanghai. 14-meter long phantom imaging system is applied to display the past and today of Nanjing Road, reflecting the historical and cultural landscape of No. 1 Commercial First Street in China.The system is the longest phantom imaging system across China. 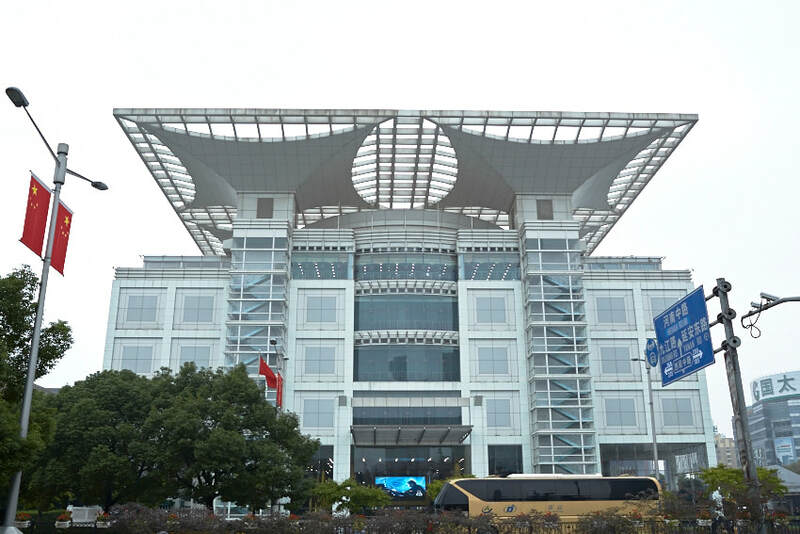 Shanghai Information Port at the center shows the development of information technology in e-commerce, industrial design, urban management, distance education, medical reform and intelligent home. Through the high-tech technologies such as virtual reality, digital cinema and surface acoustic wave touch, visitors will experience the infinite charm of the network society in the future. The urban planning model of more than 600 square meters vividly displays all the buildings taller than 6-storey building in the inner ring line. This model is the largest urban planning model in the world. In addition, visitors can explore the Old Photo Gallery, “Yuyuan” scenario demonstration, the Model of Core Area of Shanghai Central City, and 360-degree Ring Screen Demonstration Hall. At Yangshan Deepwater Port Exhibition, you can drive a virtual yacht, or sway in the blue sea or gallop across the magnificent Donghai Bridge, and experience the charm of Yangshan Deepwater Port. If you are interested to experience the old Shanghai, please visit the "Shanghai 1930" style street. The best time to visit Shanghai Urban Planning Exhibition Center is in the morning during its opening hours as it always takes around 3 hours to explore the whole center. The best months to visit Shanghai Urban Planning Exhibition Center are from March to November. There are several buses passing by Shanghai Urban Planning Exhibition Center. Therefore, there are several options. Rent a vehicle to the center. This is the quickest and most direct option. Take Bus 451, 167, 537 and Bus 802 to the Stop of People’s Square and Fuzou Road (人民广场福州路). Then walk to the center. Take Bus 108, 167, 312, 318, 454, 518, 537, 930 and Bus 980 to the Stop of People’s Square and Guangdong Road (人民广场广东路). Take Sightseeing Line 1 and Line 2 to the gate of the center. Opening hours: 09:00 - 17:00 (Tuesday - Sunday) (the tickets are not issued from 16:00); the center is closed on Mondays. Please bring your passports with you when visiting the center. Interested in visiting the Shanghai Urban Planning Exhibition Center on a Tour? Wendy Wei Tours offers a variety of different packaged tours as well as custom tours including the Shanghai Urban Planning Exhibition Center, among other attractions and destinations. To find out more, please visit our Tours page or Contact Us directly to find out more.